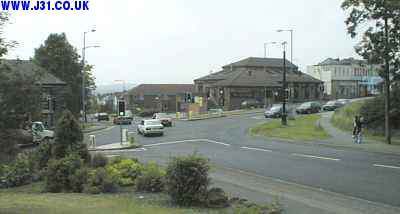 Swallownest Crossroads and traffic lights with the Wetherby pub on the far side. It is here that Rotherham Road in the foreground becomes Chesterfield Road on the other side of the crossroads. Running right to left is Main Street which goes to Swallownest bottom shown elsewhere.